Good morning! Today kicks off our challenge week for the month, I’m excited to see what you are all up to! What will you challenge yourself with this week? I don’t want you to be stressed out about this challenge, but I do hope to MOTIVATE you. Finish something, start something, just don’t be overwhelmed by everything – One Thing! You decide, what’s reasonable for you to get done in a weeks time, and tell me your goal in the comments. Next Monday, I will have a linky and you can link to your blog/flickr post, and show off your met goal! into a table runner for my table! After making runners for Christmas gifts, I decided that I need one too. My Christmas runner just comes out for the month of December and the rest of the year the table is empty. I have the cutting done – shouldn’t be a problem! For those of you that meet your goal, you will be entered to win a matching table runner kit of your own! I cut more than enough and will put together a kit of hexagons once I figure out how many are needed. 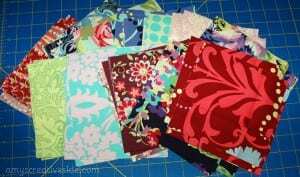 My goal this week is to get strip sets cut and sewn together for my postage stamp quilt. This is exactly the right time for this challenge, at least for me! 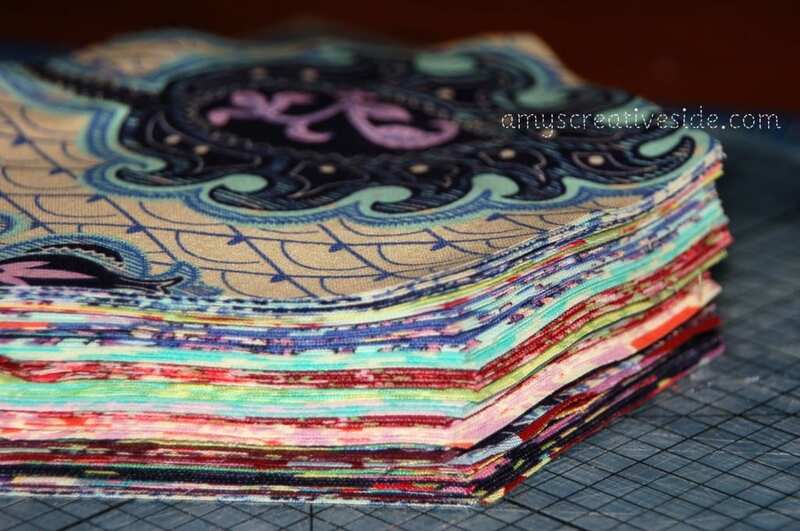 For a swap I have to sew ninepatches made from 1,5″ squares … and I would love to get them DONE till next week. So, sewing those ninepatches is my goal for the next week! I am hoping to get the pieces all cut out for my first attempt at a mini quilt. My goal for the week is to get my Mon Ami Schnibbles top together. I’ve cut it out and there are LOTS of pieces even though it is a small project. My goal is to complete all the log cabin blocks for a batik quilt, “round and round” begun in August. 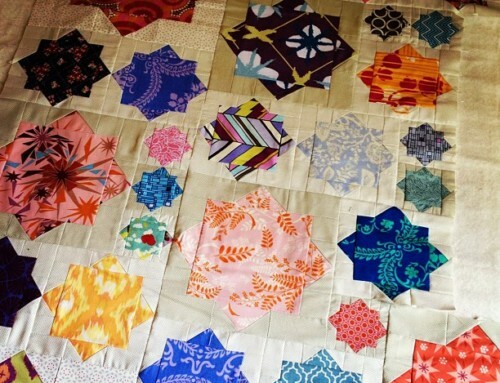 My goal is to finish squaring up my HSTs, and to decided if I want to make a small or medium sized quilt with them. My goal is to finish just one of the two quilts I have started. I’m making Dr. Seuss twin quilts for my twins’ beds, so if I could just get one done it would make me get the other one done. Great challenge! My goal is to finish the block for Linda in this months Lets Bee Together. I need to first make a sample block of my original design, adjust for any problems, and then create her block. I think this first month of cutting into someone else’s fabric is hard! Hi, Amy! I’m definitely going to finish at least the flimsy for a quilt for the quilt ministry – and hopefully quilt and bind it too – but I’m going to commit to finishing the flimsy for sure! Thanks for doing this!! My goal is to finish a quilt top. I’d really like to finish the whole thing but I think I better be realistic. Then if I do get more done, it will be even better. Thanks for the collective spirit. I have three small wall hangings I want to get finished this week, just a dent in the pile. It is 6:46am and I have stitched on a binding all ready to hand-stitch. One down. Thanks for the challenge! I hope to start and finish a child’s sized messenger bag with matching colored pencil roll and coin purse. Thanks for the challenge Amy! My goals this week are to start a valentines table runner and finish the piecing for 2 pillow shams for my bed. My challenge for the week is to come up with a design, cut fabric received for this top, and start the sewing. It is the brown bag top and I need it completed by March. I will be out of town for a week in Feb and I have got involved with the Senior Center here in my town so my time is getting less and less available to finish this quilt. First step is the most important, lol. Perfect timing, Amy! And the chance at that beautiful fabric is just another way to keep me on track! My goal is to machine quilt my nephew’s baby quilt. Good luck to everyone on reaching their goal! My goal for the week is pretty small compared to most other people…I need to make a nursing cover to use with my newborn son. The goal is fairly simple, now just to find time to start and finish with a 2 week old in the house! I actually have several things I want to get done. 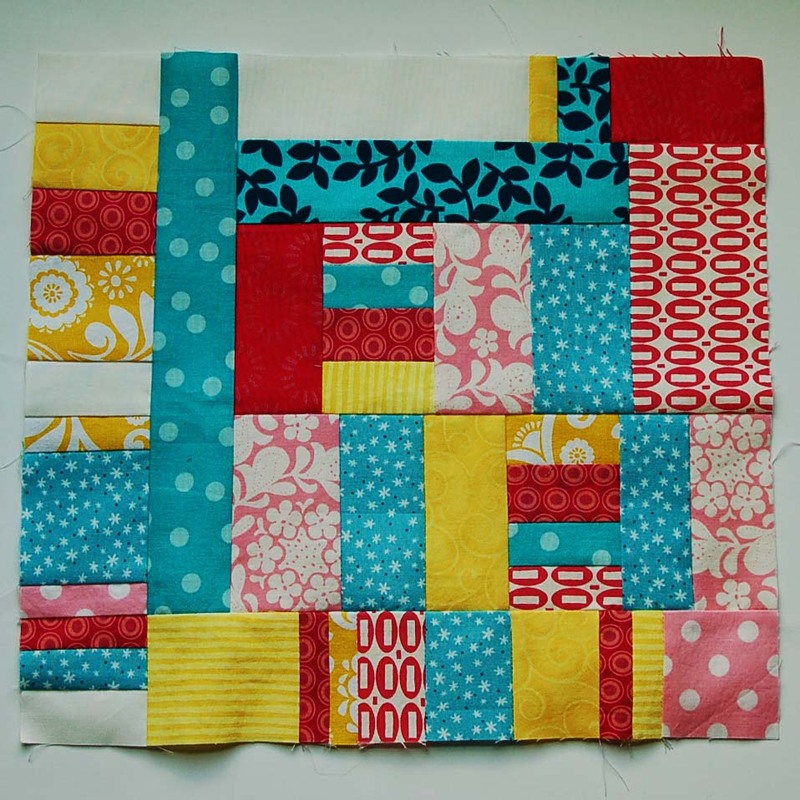 1) I need to make two blocks (5 & 6 for the Layer Cake quilt along. My goal is to finish my Boxed In Quilt made with Moda Lollipop. I am making it for my cousin who will turn 3 on February 6th. I need to get it done so I can get it mailed on time. my goal is to get all the blocks and strips cut out for the new quilts I am making. somewhat tedious so I need to stay with it. My goal is to finish the car mat that I’m making for my boys. I have a lot of little things to finish up this week, but the main one is to finish the 24 tooth fairy pillows I have been working on, take photos and ship those babies off! Wish me luck! My goal is to finish the T-shirt quilt top I’m making for my grandson with his dad’s old basketball T-shirts, and to purchase the backing. It’s a fun project evoking good memories. My goal is to sew an hour a day:) And finish a new baby quilt top. 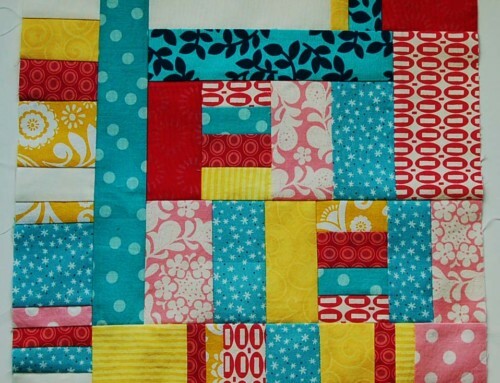 I have the blocks all sewn…I just keep switching them around. 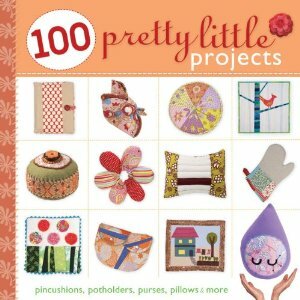 This week I WILL decide how I want to arrange those blocks and sew them together! 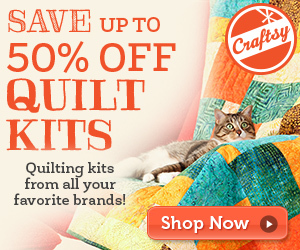 I plan to finish assembling strip sets for a Postage Stamp Quilt. I’ve got seven out of sixteen sets completed. My goal for the week is to machine applique the 25 handprint blocks for the auction quilt I am making for my granddaughters second grade class fundraiser. I want to finish the basket blocks I am making from Soul Blossoms! My goal is to finish “Little Boy Blue,” which needs about half the hand quilting and binding yet. It was supposed to get done last week…this will be my accountability. My goal this week is to finish quilting and binding a new quilt for my husband, who is away at school. I plan to have it in the mail by Friday. I just finished a holder for my nook and would like to finish a purse that coordinates. I need a new purse anyway because I noticed my old one showing some frayed spots after the last wash. I saw a Valentine’s Day table runner pattern in an old magazine. My challenge is to start making it. My goal is to test a pattern for my sister and finish quilting the wallhanging that is currently under my sewing machine needle. Thanks for the challenge. I want to finish up 5 basket blocks so I can start to put the quilt together. My plan is to finish the quilt top for the Fantasia quilt that I’m making. Thanks for the nudge! I would like to finish (1) a set of placemats (hopefully, tonight) and also (2) piece a version of one of my 3 yr old daughters drawings/scribbles into a doll sized quilt with an applique of her signature in the middle. This may be easier said than done as the only applique I’ve attempted so far were on placemats I made earlier this month. Should be fun to try though! I am going to finish quilting my Bliss quilt. I need the basting pins for another project ;) Thanks for the motivation. 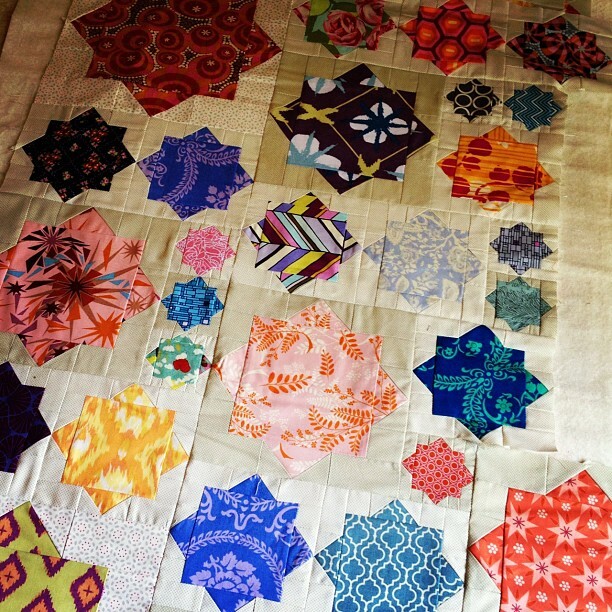 I’m hoping to finish a quilt top and back…and maybe get it all pinned…maybe? I would like to make 3 rows of my wall hanging. I’m excited that One Week, One Challenge is back in action! My goal is to finish the last border on the never ending quilt that has changed sizes twice since I started it. Just wanna get it done and go on to daughter number 3’s quilt. My challenge is to finish my sons quilt top! Ideally it would be to have the whole thing complete, but I still have kids to feed, activities to take the to, etc, as well as eating and sleeping. So I`ll settle for a completed quilt top. I have two lap quilts to quilt and bind as donations for Quilts for Queensland. It is too hot at the moment for them to need them their but some of those areas get quite chilly in winter. This challenge is perfect timing for me! I’m attempting my first diamond baby quilt (second quilt ever). I started it yesterday (Sunday), so my week will run a bit shorter than yours, but I need to try to finish it before Thursday when I go out of town for the weekend. It really will be a test of commitment for me to sit down and put it all together without freaking out over how intimidated I am by what I perceive to be a difficult sew – but I’m about to start it now, so we’ll see how much of that fear is warranted. See how it’s coming along at http://triangleshirt.blogspot.com/2011/01/diamond-jack-part-one.html. I would love to catch up on my Bee Blocks. I have 2 to make. I’m glad to see this again! I’ve got a pillow I started last night. Got it all pieced, now I need to quilt it and sew it into a pillow. It’s for my mom’s birthday on Friday, but since I often have been known to give her half-finished presents, I still need more motivation to finish! My goal for this week is to finish hand sewing the binding to two quilts, a king sized quilt and a twin sized. I have a feeling my fingers are going to be sore! 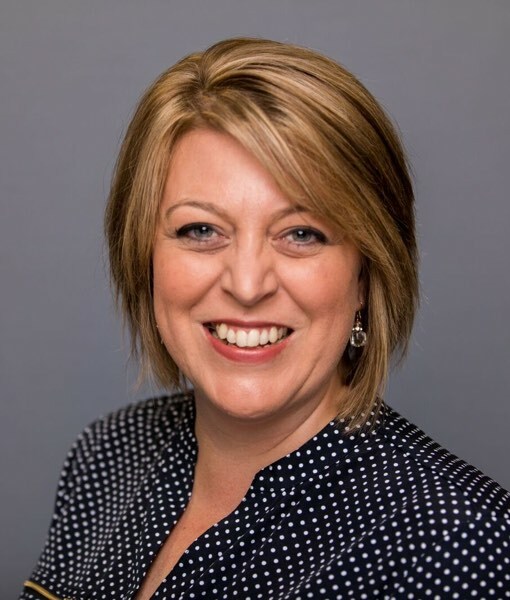 Hi Amy and thank you so much for your timely challenge ! I have been a non-sewer for almost 2 weeks ! No reason except ……………….. I need to start AND finish 2 blocks ( 1 isn’t here yet , but will be …) for a quilt along and I need to cut out squares and bricks for a scrap challenge quilt ! I’ve been putting them off ( except for the one that isn’t here yet ) so it’s time to get busy . THANKS again ! maybe I will meet and exceed my challenge and accomplish MORE ! My goal this week is to make three receiving blankets and three burp cloths! Everything is washed and waiting…. I want to get my friend’s memory quilt loaded on the quilt frame. As a bonus I want to have the quilting “figured” out this week. My goal is to piece together my quilt-top for the Project Modern 2: Monochromatic Challenge! Challenges upon challenges! I want to turn a fabulous embroidery I just finished into a pillow! My plan is to get the center of my current project quilted. I really hope that is a do-able goal! Thanks for hosting this challenge, Amy! I cut up my husband’s old t-shirts over the weekend, so my goal this work week is sew them all together into a quilt top. I will have to quilt it over the weekend. Now it’s official! Actually I accomplished my goal for this week, barely before it was begun. I have been trying to perfect a pattern for a knitted hat (toque in Canadian) and after 4 previous tries at it I am happy to say, I have created exactly the hat that I have had floating about in my noggin for about 6 weeks now! Next up? tidy the sewing room. I have a quilt top that I made back in November so I would really like to finish off the quilt this week! 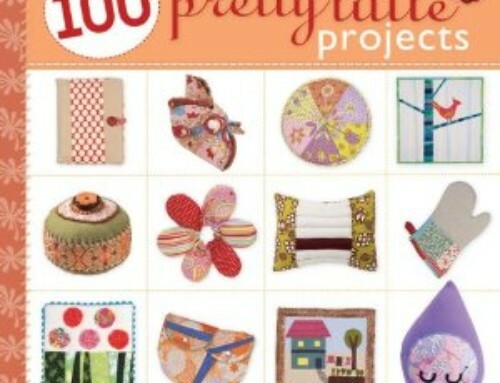 My goal for this week is to get the D9P for my friend to the quilting stage. I have most of the basic blocks put together and cut in quarters. I would like to get it on the quilting frame by next Monday. I would like to finish the three mini quilts I have needed to quilt and bind since September. Two are basted and need quilted and all three need bindings made and attached. 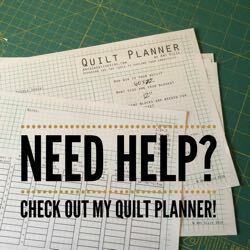 I am working on my Mon Ami Schnibbles also and would like to get all 200+ HSTs done! My goal is to sew together my strip sets for the p.s. i quilt Postage Stamp Quilt Along. They’re all paired up and now just need to get stitched up. Well I am going to try again. Each time I start and I don’t finish, but this time I will. I am setting my goal as getting the Be Mine Blog Tour Valentine’s Day Table Runner by A Quilting Life. I will get it done before Monday next week. My goal for this week is to get my nephew’s quilt top completed! I sat and designed it tonight, and once I get the okay from my SIL, then I can begin cutting! While I am tending to a dear, sick, old cat, my goal is to baste all of the English Paper Piecing hexagons I have cut out. The hexies are ready, my thread, scissors, needle, and pins are all in one place, and it’s a perfect project for quiet time. OK, I’m in! I’m going to finish knitting the little toy I’m making. I’ve started, then got bored and picked up something else! With so much going on, I almost forgot to post this week’s challenge goal. My #1 challenge is to trim a bin of scraps into a stack of usable pieces for some planned scrappy projects. #2 for over the weekend is to (hopefully) help my step-daughter finish her senior quilt project. I really like how you host these challenges!! This week I would like to make considerable progress in piecing my X Marks the Spot quilt top! It’s time to not be so intimidated by the design I am dream up and just give it a go! Beautiful table runner pieces! I have started an applique quilt and would like to get at least one block completed. I have started an applique quilt and would like to get at least one block finished. I need a challenge! I need to finish a dress for my daughter, and if there is time, a scarf for me! Well I have a set of placemats that I started for my grandma for Christmas. I finished one and gave it to her. I need to finish the other 5. They need to be basted, quilted, and bound. That sounds like a nice project for the week. I have an apron to make. I will challenge myself with that this week! It’s gotta get done! LOL!! I am going to finish off my quilt top for my Fandango Posies quilt. I followed a pattern but want to add more around the borders to make it a bit larger with the left over scraps. I need to figure it out and get it done! Thanks for the inspiration! My goal for this week is to finish sewing together the 2×8 pieces of my sister’s throw into 4×8 pieces. This way I will be set on putting the 4×8 pieces together into the 8×8 blocks (once my sister decides on the color order)! I just heard about this challenge and hope it’s not too late to join in. My goal for the week is to finish (quilting, binding, label, fluff in dryer) a comfort quilt to give to a co-worker on Monday for her daughter. It’s just about quilted – I just need to finish assembling it (I did it using a quilt-as-you-go method). I’ve got seven out of sixteen sets completed. While I am tending to a dear, sick, old cat, my goal is to baste all of the English Paper Piecing hexagons I have cut out. I plan to have it in the mail by Friday.